Michael Korb, Chair of the Pennsylvania-Anthracite Section of SME / AIME announces the 2015-2016 John Kaminski Memorial Scholarships for mining-related engineering or science majors for Pennsylvania students. The grants are for enrollment and attendance in an engineering or science program related to mining at a school in the Commonwealth of Pennsylvania. The Graduating Senior Scholarship is a one time only grant issued for freshmen attending their first semester in the fall of 2014. The College/University Undergraduate Scholarship is for High School Senior Scholarship winners and current undergraduate students and may be renewed upon application if satisfactory progress (>3.0 GPA) towards an appropriate degree is maintained. C/O John R. Ackerman, P.E., P.G., BCEE, F.NSPE, Scholarship Chairman at john.ackpe@verizon.net. The deadline for consideration for the 2014-15 Scholarships is May 15, 2015. A check for $500 will be delivered to the selected students at the Section’s Annual Meeting and Dinner in late June for the fall semester. The students and their parents will be guests of the Society. 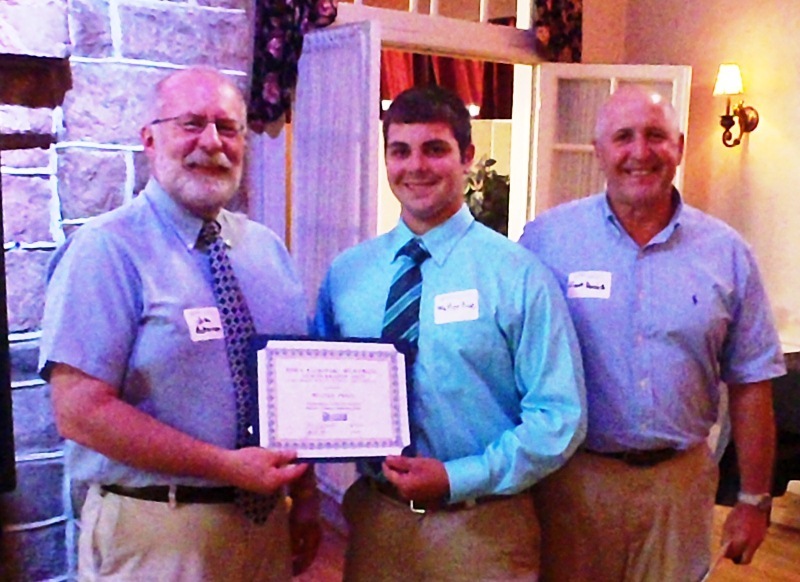 SME's Pennsylvania Anthracite Section members John Ackerman and Frank Derrick, awarding the 2012-2013 John Kaminski Memorial scholarship to Walter Price. Additional awards were given to Angela Moyer and Jordan Oakill.